This book is a complete catalogue of the Trojan collection of the Pushkin State Museum of Fine Arts. 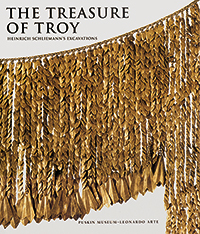 The catalogue presents 13 treasures discovered by Heinrich Schliemann at the mound of Hisarlık, which is identified with the legendary Homer’s Troy. For more than 50 years, since the collection disappeared during the last days of the World War II, its location remained uncertain (it was widely believed that the treasures have been lost forever), and it was not available for scholars and the general public. 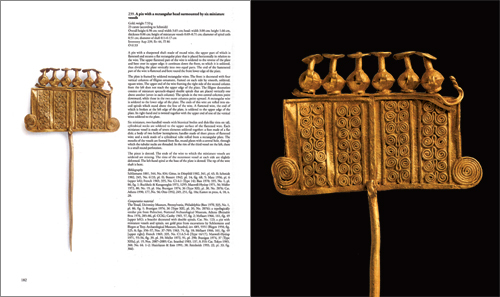 This catalogue is the complete scientific publication of Trojan treasures. The introductory essay thoroughly describes Schliemann's excavations and circumstances in which the treasures were found. 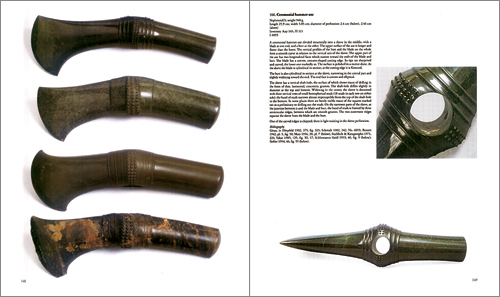 The catalogue itself presents 259 inventorized items from the collection. Every item is reproduced in color photographs and recorded with its inventory number, a detailed description, bibliography, and comparative material. 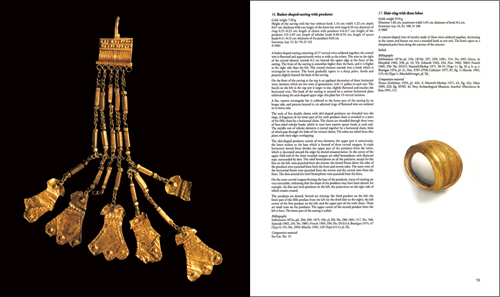 Special sections of the book are devoted to detailed typological and comparative analysis of groups of artifacts (jewelry, antropomorphic figurines, vessels, etc. ), and to the chronology of Trojan treasures, which in the opinion of most modern scholars are dated from 2500 BC to 2000 BC. The controversial fate of the treasures and difficulties accompanying the publication of the collection suggest that no new edition of the collection is likely to appear in the foreseeable future. Therefore, university libraries or private collections need to add this valuable and elegantly printed volume to their comprehensive archaeological or historical library collections. Pages 148–149. Treasure L, Cat. No. 166.